Chris Hickey | Love Away | CD Baby Music Store. 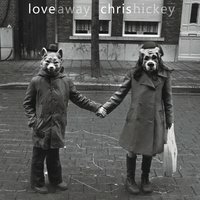 Chris Hickey’s new album, Love Away, is available. Great stuff. Close-crafted, minimalist pop. Give the final tune, “So Little Time”, a listen. It’s my 49th birthday; do it for me.